The Bark River Knives Mini Rogue fixed blade knife, is a scaled down Rogue with a 4.75" satin A2 clip point blade and green canvas micarta scales. The perfect size to be able to handle large cutting tasks while still being able to handle delicate and precise cutting. Sporting A2 tool steel hardened to 60 RC for excellent edge retention, the Mini Rogue's convex edge is capable of serious use. 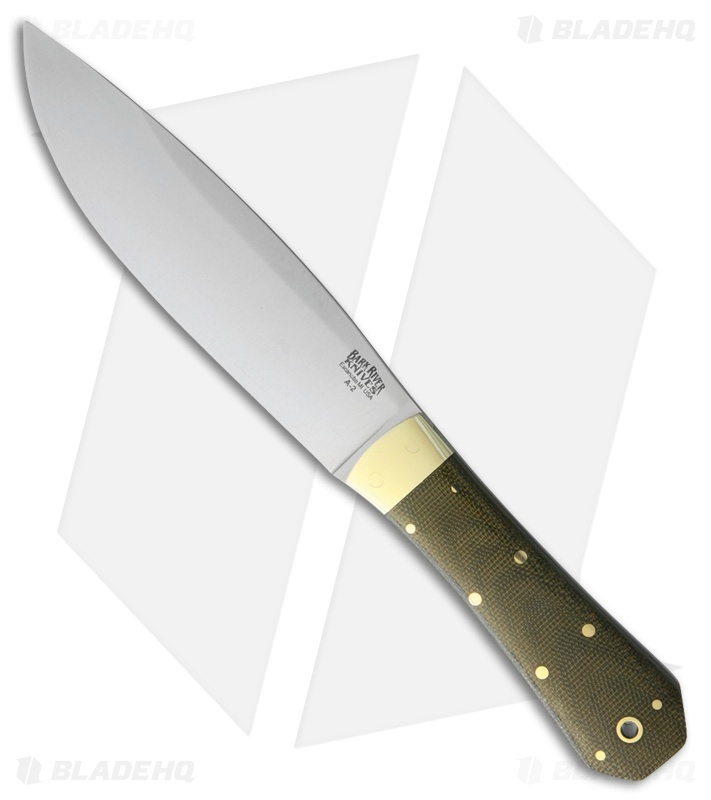 Green canvas micarta scales with brass bolster and pins provide a solid platform for a sturdy reliable tool that fits well in hand. Carry the Mini Rogue with the tanned leather belt sheath. Tough A2 tool steel perfectly hardened for exceptional edge retention. Green micarta handle for a comfortable and secure grip. Easy belt carry with the included deluxe leather sheath.